So there sits Lance at 42, bike-bent back forced upright, all teared up, and voice cracking as he lays wood to bat on Oprah’s softball questions. Lance is appearing on Oprah next week and the expected confession is tied directly to the dollars lost from sponsorship and pressure from high-dollar funders of Livestrong, who have surely seen a drop in funding. There’s no sports pedestal taller than the one he fell from with wristbands snapping, jerseys unzipping, and dollars floating away like air out of his famously aged-in-a-farmhouse tires. Thoughts of a legacy consume him, as does concern over the water bill for his luxurious crib in Austin. It’ll play out like this: LA comes clean, Comeback 3.0 the Redemption, writes a tell-all book, sells a script, net worth doubles, attorneys get paid. The Lance friendlies and those that never doubted welcoming him back. 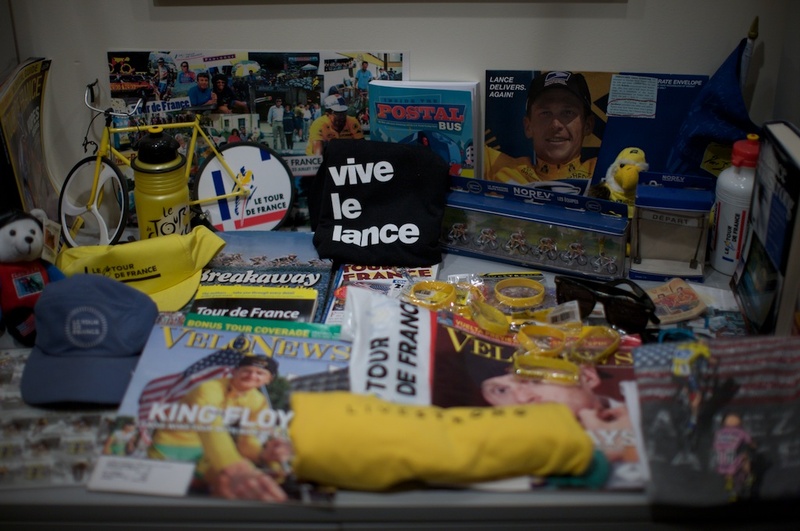 Yellow memorabilia will vibrate into action. Surely Lance got his and will get it again, but post confession will the pause button get pressed on self-aggrandizing, boondoggling, bike-related charities with so much marketing overhead? Possibly or at least Lance will learn he can bully everything but the truth. The redemption story is bigger even than the million little pieces that previously fell on Oprah’s studio floor. For those of us that ride, he’s no longer a Pro cyclist, but an inspirational commodity sold to TV viewers and you know they love a comeback. Especially an even stronger third one with the truth setting it free. The first time the Texan crossed the finish line… little known…comeback from cancer victory, he was a bonafide star. At 50, he crosses the finish line in Kona finally clear of his doping suspension.